inscription: Lower left corner of image has "(c) 1967 Famous Faces. Inc. Box 441, Norristown, PA, 19404". Lower right corner of image has: "Seymour Chwast". Poster has a white border that is much thicker at the bottom. 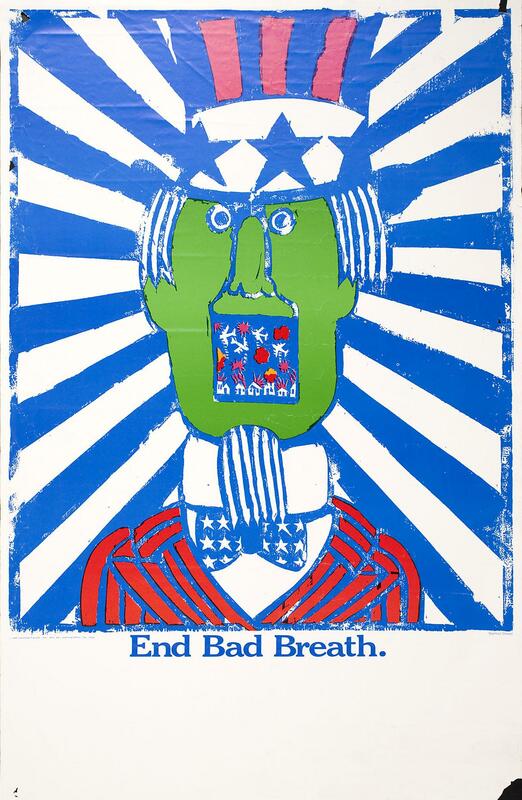 Poster has a stylized drawing of Uncle Sam. Uncle Sam is shown wearing a red and blue striped hat with a white band that has blue stars, his jacket is also striped red and blue. His face is green and his wide open mouth forms a square shape which contains a scene of war with large planes dropping bombs on houses. 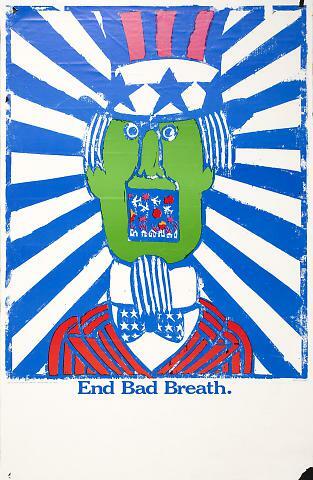 Below this drawing is the text: "End Bad Breath."